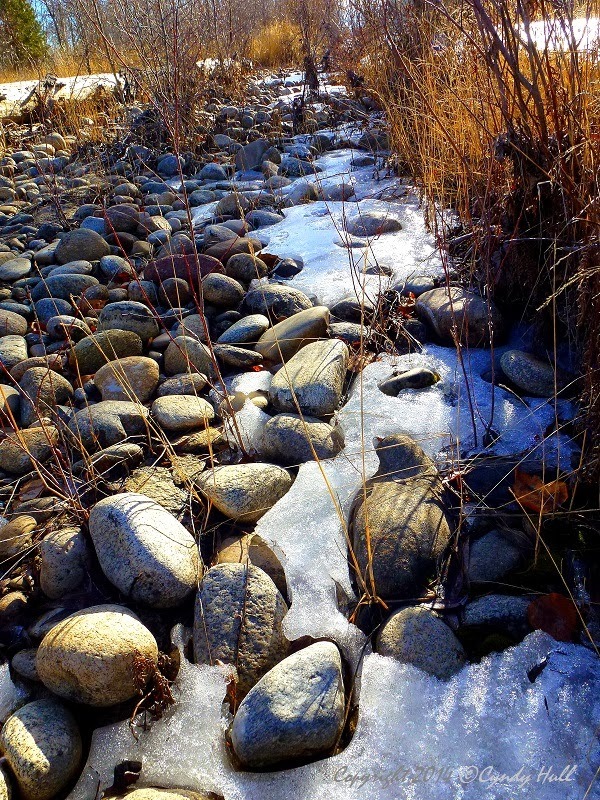 Come spring, this rocky avenue, rushing with overflow, will accessorize the Bitterroot River. Naturally created runoff pathways crisscross the river bottom, making something of an alternate route network. When high water proves too much for the main river artery, it shoots off into these side alleys, twisting and churning toward the goal of rejoining the main flow. After spring rush subsides, the flotsam and jetsam dries to leave paths open for travellers on foot. Get your rambles in while you may!